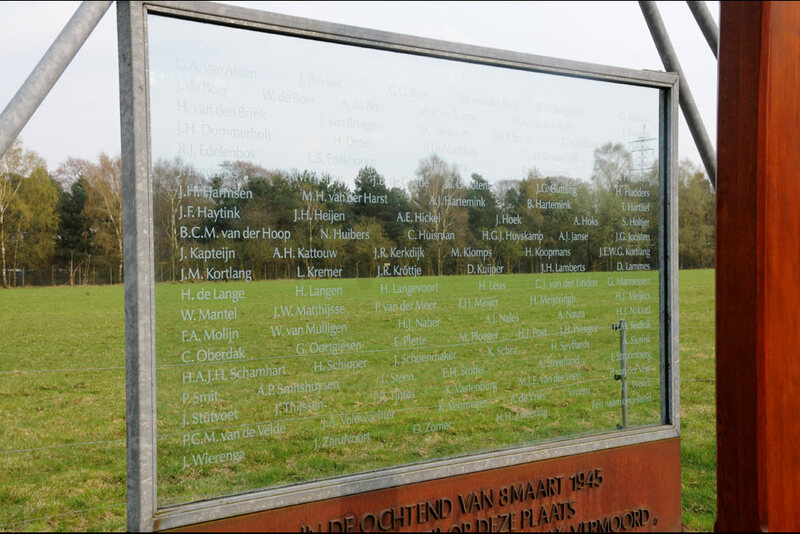 In March 1945 117 men were shot near an Inn called "De Woeste Hoeve" close to Hoenderloo as a reprisal action after an erroneously attack on the highest Police- and SS-chef in the Netherlands, Hans Albin Rauter. The men were "Todeskandidaten", originating from several prisons in the country. 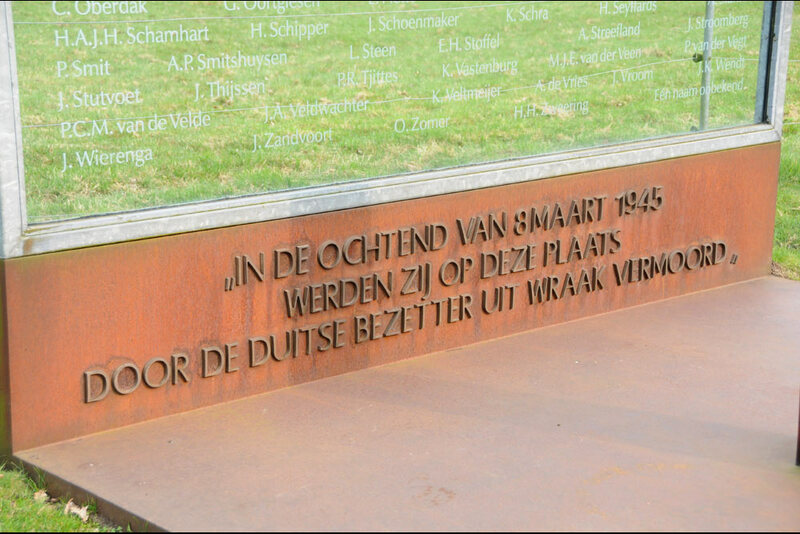 The 117 victims were initially buried on a nearby cemetery in Ugchelen, where nowadays still four victims are buried on the "Woeste Hoevelaantje". 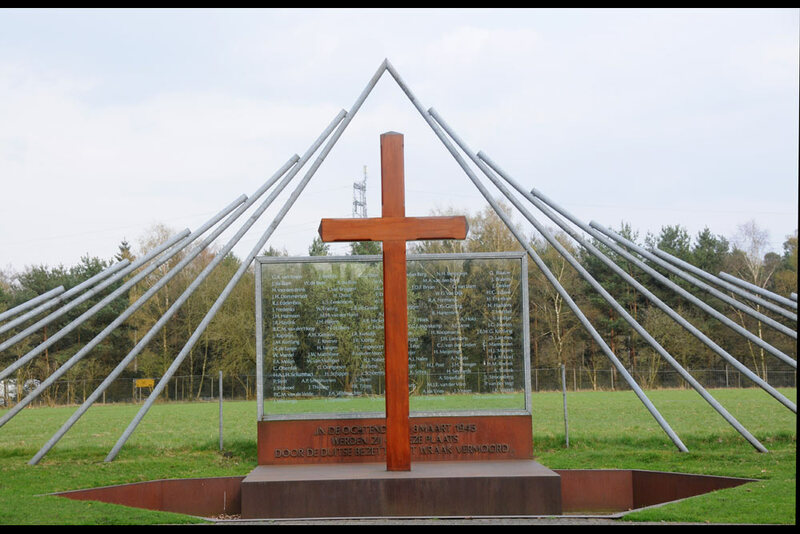 Only in 1992, the current Memorial was revealed, a wooden cross with a memorialplate made off glass with the names of 116 victims in alphabetical order, framed by metal (one of the victims remained unknown, the Polish pilot Czeslaw Oberdak is recently identified as victim). 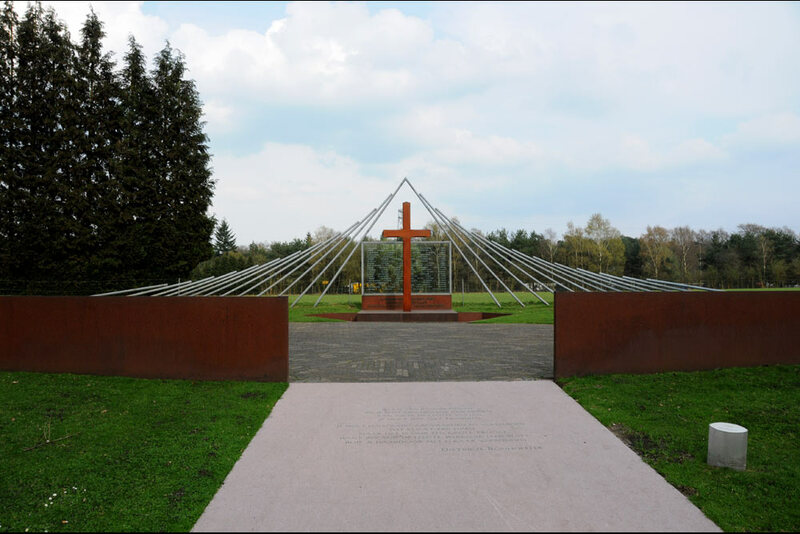 The cross and the plate are surrounded by a metal construction. 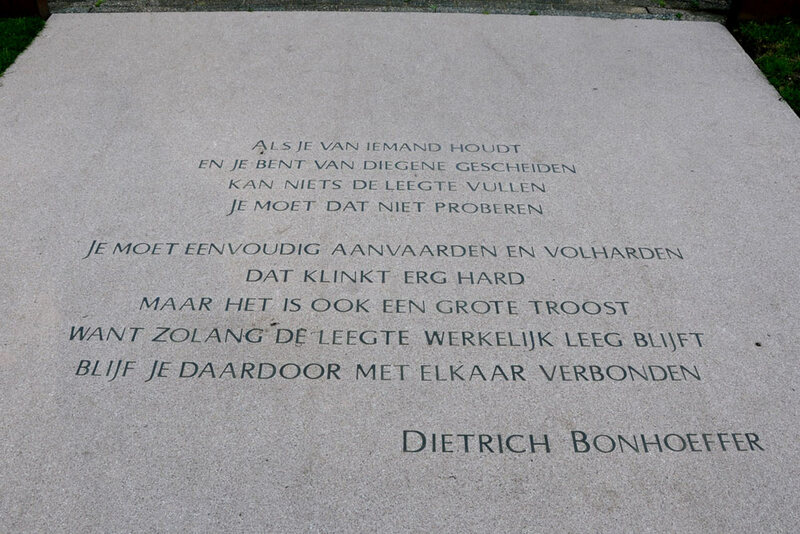 In the path to the monument lies a memorialstone with a poem of the German theologian Dietrich Bonhoeffer.